The year is 1815 and all of the Bennet sisters’ children are now on the verge of adulthood. Emma Bingley looks forward to a reunion of the entire family at Pemberley, and especially her aunt Lizzy’s spectacular summer ball. Mr. Lewis Anderson, a neighbor who has captured her interest, will be in attendance. Much as he admires Emma Bingley, Lewis is more concerned about the depletion of his family’s fortune. Determined not to court Emma from anything other than a position of strength, Lewis calls upon his friend Christian Warner, the Earl of Ripon’s heir, for help. The two delve deeper into events that took place while the two of them were away fighting Napoleon and come to suspect that Lewis’s father has fallen prey to fraudsters. Bella Darcy is looking forward to a traditional Christmas with her extended family at Pemberley. When Christian Warner and his uncle, the Earl of Ripon, unexpectedly arrive, the presence of the vibrant gentleman who stalks her thoughts and stirs her sensuality promises to make it anything but traditional. Chris tells Darcy that he was brutally attacked in the streets of London and recognised his main aggressor as Porter – Wickham’s son. Determined to save her parents from the spectre of Wickham, Bella joins forces with Chris, the earl’s glamorous and highly eligible heir, in a daring attempt to draw Porter out. Their plan calls for them to make themselves targets by pretending a romantic attachment. They are only pretending, are they not? The unexpected appearance in Derbyshire of James Tyrell, son of the famous artist, causes quite a stir. James tells the Darcys that someone is hiding out locally and forging his father’s work. 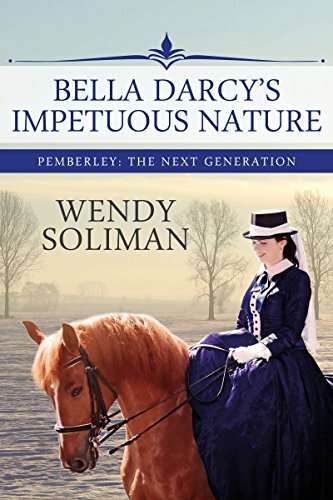 Susie Darcy is intrigued by James, whose appearance acts acts as a useful distraction from her growing interest in Tobias Porter, their trainee steward at Pemberley and Wickham’s illegitimate son. As she and James follow leads, it becomes increasingly apparent that Tobias must be involved in the forger’s business. Could he still be bent upon avenging a father he never knew? Susie is torn between her impossible feelings for Tobias and her equally strong attraction towards James. Determined to prove her own worth, she becomes increasingly reckless in her efforts to uncover the forger’s identity and restore the elder Mr Tyrell’s reputation. The Earl of Cheshire is determined that his great-niece will have a London season, during the course of which she is expected to choose a suitable husband. But Rosie Turner, Kitty’s daughter, is equally determined to follow her heart. Battle lines are drawn between the taciturn earl and a young lady who knows her own mind. The handsome and mysterious Hal Lyndon is employed by Mr. Darcy to design new cottages for his estate workers. Rosie helps to reunite him with a beautiful Cornishwoman employed as a governess in a house close to Pemberley. When the earl puts in an unexpected appearance in Derbyshire, Hal offers to repay Rosie by posing as her paramour. But the earl now has someone else in mind for Rosie…a man who will go to any lengths to take possession of her dowry. Rosie has fallen in love with Hal, but he is committed to his mysterious Cornishwoman. Hell hath no fury like a mistress scorned…Eleanor Bingley is attracted to their neighbour Ross Enfield but Ross is working relentlessly to save the Enfield Brewery from the brink of collapse and has no time for romance. Bella Darcy is disturbed when turbed when Emily Walton, her fiancé’s former mistress and Ross’s aunt, takes up permanent residence with Ross’s family. When Tobias Porter, Wickham’s fugitive son, is hired by Emily to murder Bella the shocking revelation of deeply buried secrets threatens the entire fabric of Ross’s family. As unrest sweeps through England, even the bad weather can’t spoil Emma Bingley’s happiness as her wedding day approaches. 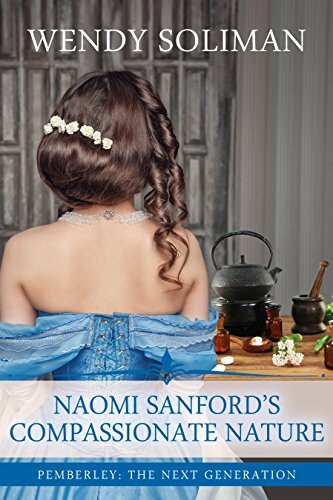 Her cousin, Naomi Sanford, is fully occupied concocting herbal remedies to help relieve the suffering of Welsh migrants flocking into Derbyshire. She is distracted by the arrival of Dr. Andrew Kenton, a close friend of Emma’s future husband. Drew shares her interest in herbalism but has a career as a surgeon to the rich and famous awaiting him in London. He also appears to be on the brink of an engagement to the beautiful and sophisticated Lady Sarah Napier. 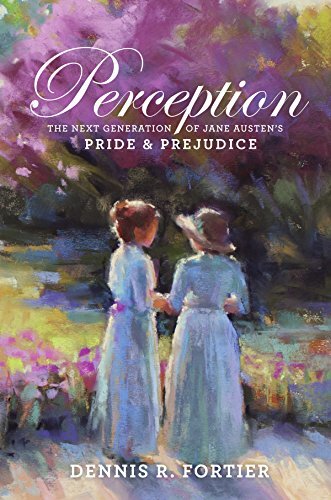 A long-time lover of Jane Austen’s classics, author Dennis R. Fortier gives other dedicated readers a wonderful treat with Perception, the ongoing story of Mr. Darcy and Elizabeth Bennett’s union. Jayne, the beautiful, charming, intelligent daughter arming, intelligent daughter of Elizabeth and Mr. Darcy falls in love with young Jeffery Richards. Unfortunately, Richards is the son of parents in service and the irregular romance causes plenty of concern and scandal that echoes far beyond the hallowed halls of Pemberley. But in this comedy of manners and social satire, Jayne and Jeffery aren’t the only two whose life choices don’t quite measure up to society’s standards—they just happen to be the ones most willing to subject their relationship to public scrutiny. 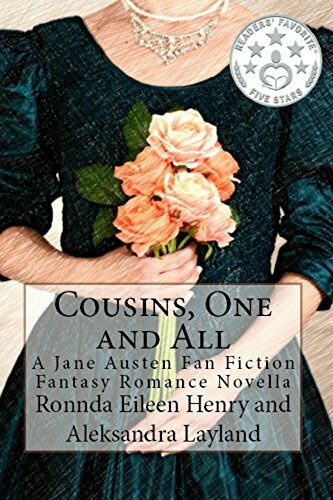 With a lively imagination and a keen understanding of the world in which Austen and her beloved characters lived, Dennis R. Fortier draws from the classic Pride and Prejudice and invites readers to step once more into the world of Mr. Darcy and Elizabeth Bennett and into the life of their winsome daughter, Jayne.